by Ben White and Steve Titus, P.Eng. 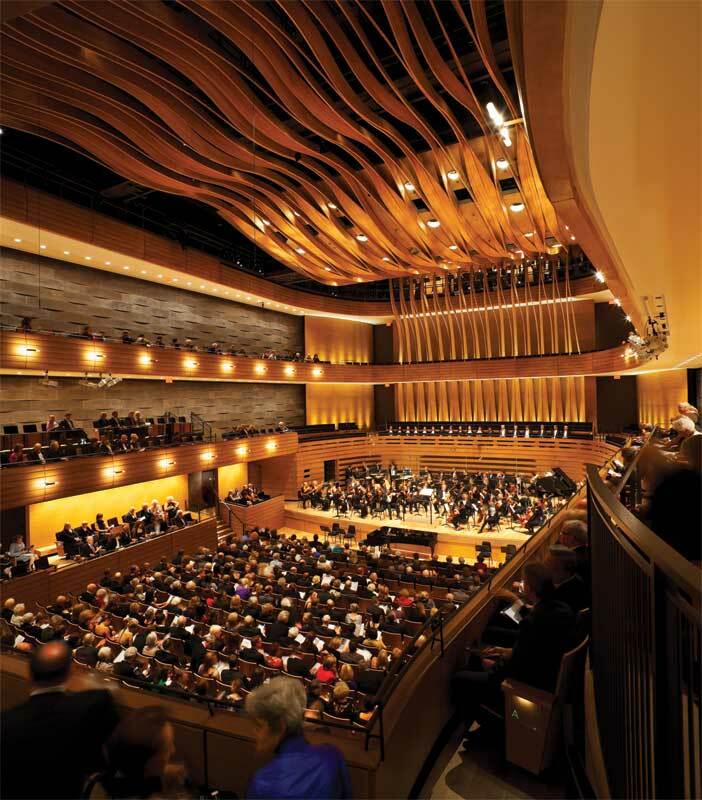 Every building project brings unique acoustical challenges for the owner and design teams. A successful design will meet these challenges at the lowest possible cost. However, until a building is constructed, questions about how it will sound and the impact of different design choices can be difficult to answer in simple terms. The questions can take many forms. How will a different geometry and choice of finishes affect the sound of a new recital hall for different types of music? How much sound bleed from one mix room to another will be acceptable in a new studio? How will an open office sound with or without acoustical treatments? What kind of privacy can be expected if a new meeting room is built using glass walls? How loud will it be in a new condominium development when the subway passes underneath? In many situations, it is critical to answer these questions before breaking ground. Unfortunately, the answers are often a highly technical abstraction and are not easily understood by non-engineers, owners, or architects. In some cases, the answers are not entirely clear even to acoustical professionals. However, getting the answer wrong can seriously affect the long-term viability of any project whether it is a performing arts complex or a new condominium development. Not surprisingly, the question ‘how will it sound?’ is best answered with an audio simulation, but this can present its own set of challenges because so many factors must be considered to provide an adequate level of realism. 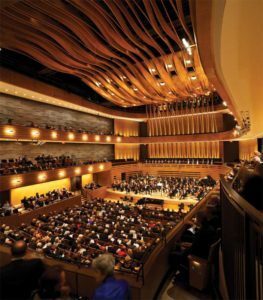 For years, acoustical consultants have turned to simulation software for prediction and have succeeded in designing great spaces by relying on specialized technical parameters and theories—few of which are meaningful to anyone without an acoustical engineering background. The walls of the simulation room in Mississauga, Ont., were fully treated with an acoustically transparent stretch fabric system to provide sound absorption. a lack of bass realism since lower frequencies are felt as much as heard. 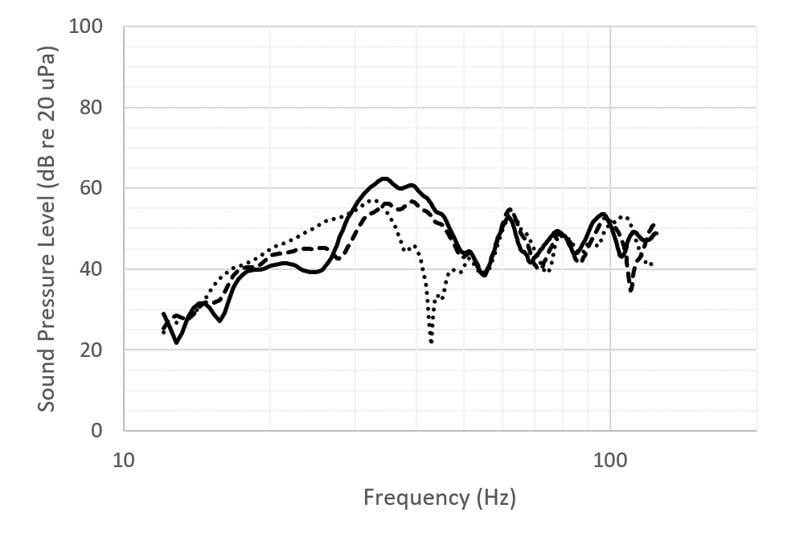 The first issue is not simple to address with currently available techniques—access to an acoustics laboratory with an anechoic chamber and a very patient test subject would be required. Due to advances in virtual reality (VR) technology, the second issue can be addressed with relative ease but would require a specialized hardware and software setup. The third issue would require dedicated subwoofers and associated processing to separate low and high frequencies. Seat-to-seat level variation with one subwoofer. To address questions involving loudness, such as how loud a subway would be in a new condominium, consultants can rent rooms and equipment to play back the noise at a calibrated level, if they can find the right room. This is challenging because most rooms or venues are too noisy to be used for simulation purposes, especially when the noise is significantly quieter than the room itself. The other issue is trying to provide the same experience to all listeners. A simulation room should limit seat-to-seat variation as much as possible, but this can be difficult to achieve. If the stars align and the right room is available for the type of simulation to be conducted, renting the room and equipment can be a costly undertaking. Budget considerations usually mean this kind of simulation is limited to large and high-profile projects. For standard-sized projects, owners and architects must rely on their interpretation of the acoustician’s recommendations. 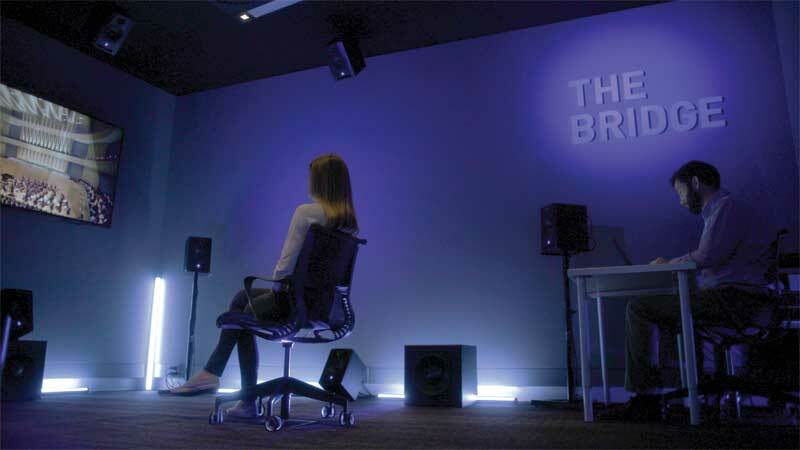 Industry-wide, there is now a move toward using purpose-built simulation rooms employing a technology called ambisonics, a method of encoding directional information with a very high level of detail. This technology allows the sound field of any real or simulated space to be reconstructed in three dimensions. Moving offices to a larger space in 2017 provided Aercoustics with the opportunity to design one of the first dedicated ambisonic simulation environments at an acoustical consulting firm in Canada. When combined with a VR headset, this technology provides an in-depth understanding of the way a space will sound and look before ground is broken.